Iam a sucker for anarkalis and when it gets even better when it is floor length . When i spotted Tamannah in a beautiful floor length creation by Manish Malhotra i was left drooling. Tamannah wore this gorgeous anarkali at the launch of her telegu film Bengal tiger . Side swept open hair soft make up and a pair of kundan earrings finished out her look. It was good that she kept things simple as the anarkali in itself is very ornate with flare, embroidery and mirror detailing. 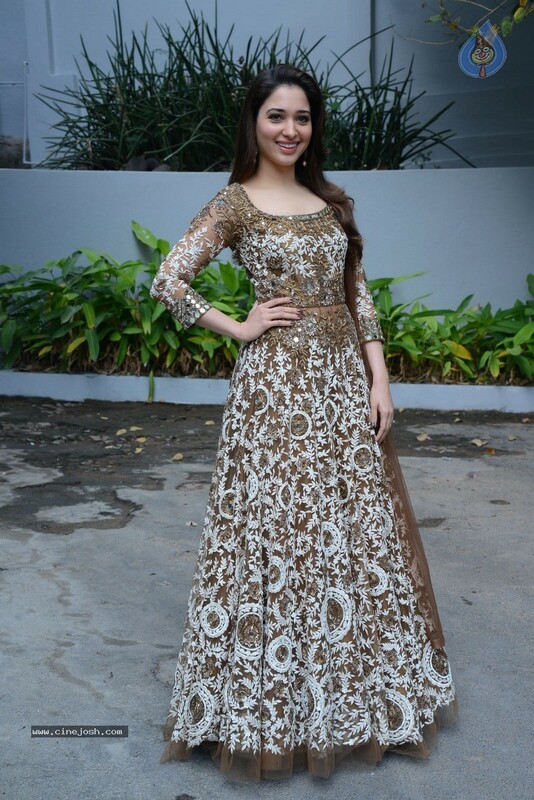 The anarkali may have been a bit too grand to wear just for a film launch her styling makes it event appropriate . Iam looking for a similar creation at an affordable price tag to wear at a wedding . Where would you wear an outfit like this? And what do you think of Tamannahs look?